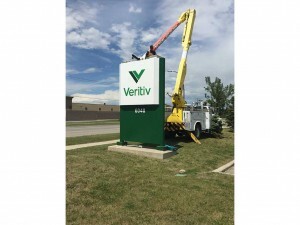 Because every Sign location & install is unique PQ Signs install team handles each installation with expertise & attention to details. 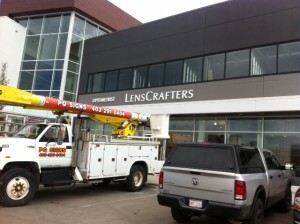 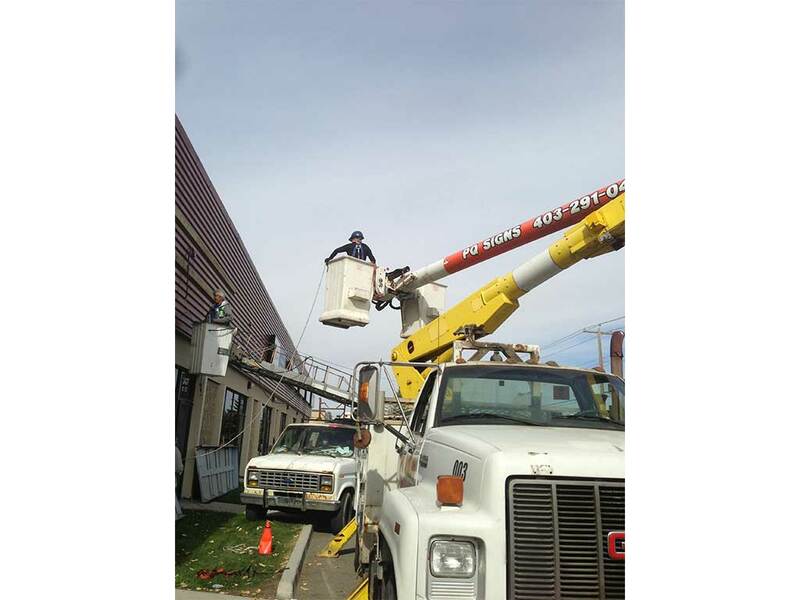 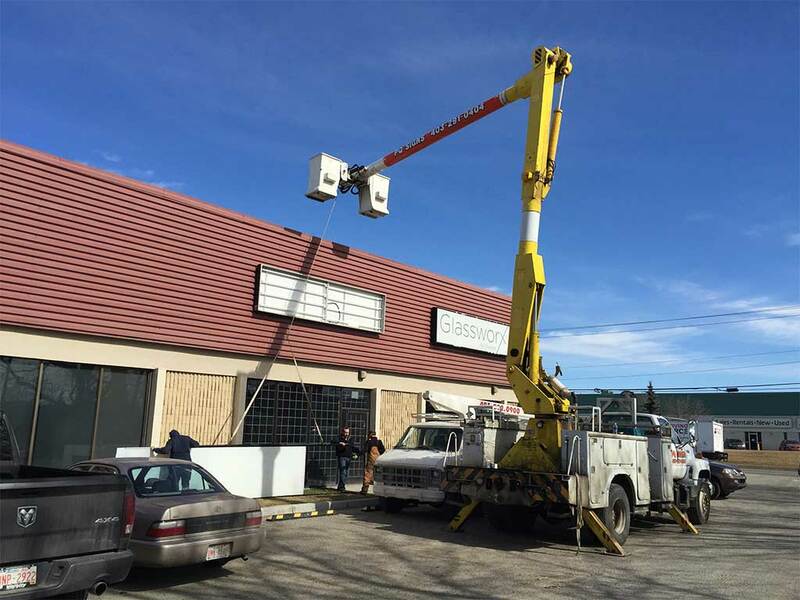 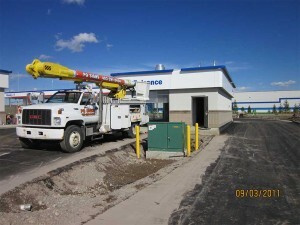 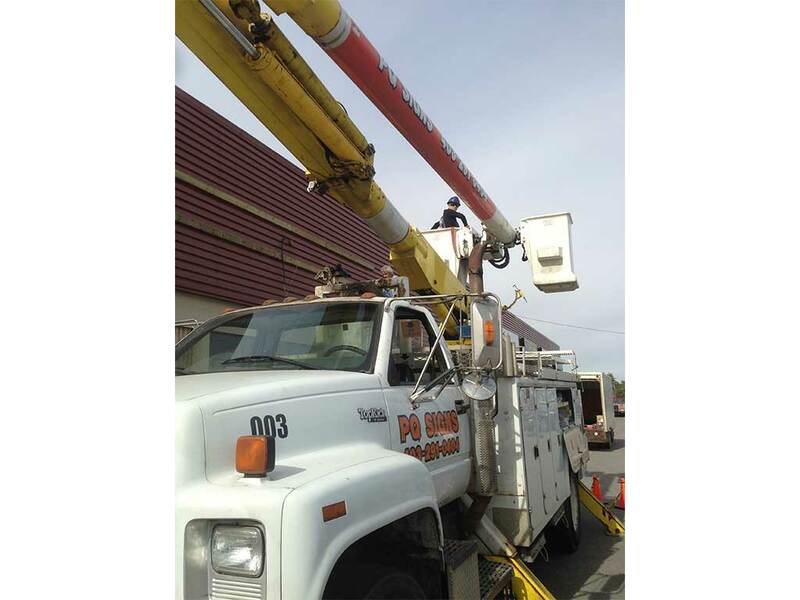 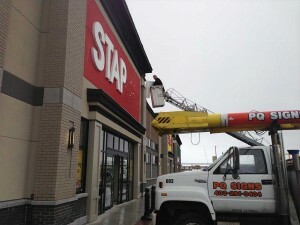 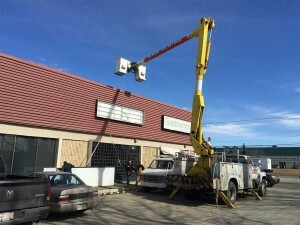 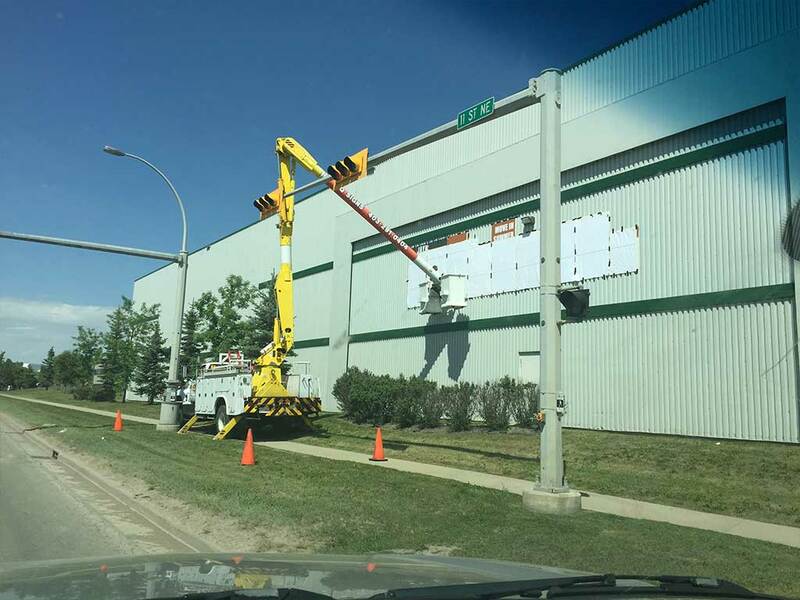 Our 55’ Dual Bucket Truck & 35’ Bucket Truck, gives us the ability to Install, Service & Repair your Sign. We can install all of the signs on our site, from a simple install to a complicated & lengthy project. 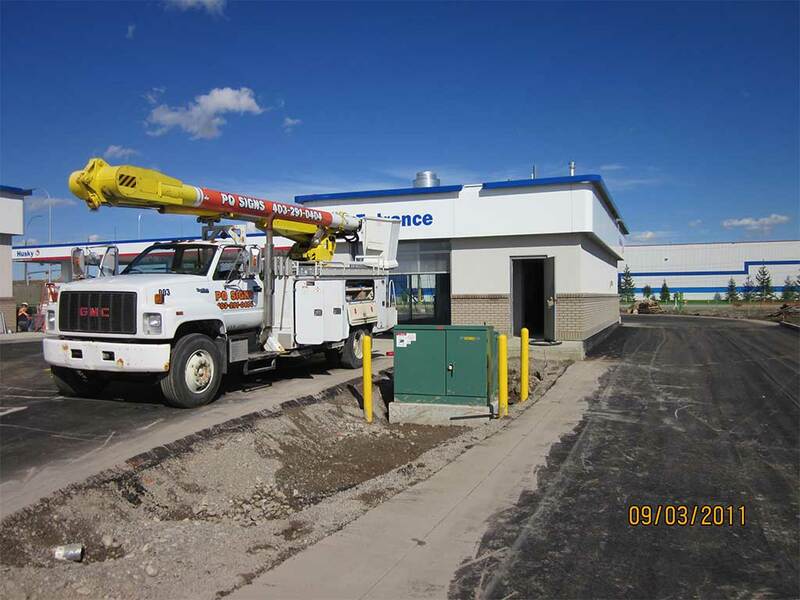 We carry full Insurance Coverage, WCB, all Safety Standards to get your project completed without incident.